Research shows that parents can really help their children cope with the changes that can arise during and after separation. This information will give you some ideas about how you and your children's other parent can help your children adjust. Children benefit from positive relationships with both parents, wherever safe and possible. When an adult relationship ends, it can be difficult not to let your feelings get in the way of your children's relationship with their other parent. Children benefit from positive relationships with both parents, wherever safe and possible. It is important for them to know that you are OK with this and that you support them having a good relationship with their other parent. Imagine that your ex-partner is a work colleague - this can help you separate out your feelings towards them as an ex-partner from your feelings towards them as a parent. Focus on the important business of working together to bring up your children, jointly planning for your children's lives and supporting each other as parents. Before making significant decisions that concern your child, consult their other parent where possible, so that workable arrangements can be made. Children need to know what is happening in their lives. You might want to prepare a parenting plan. This will help you to focus on a number of different areas. 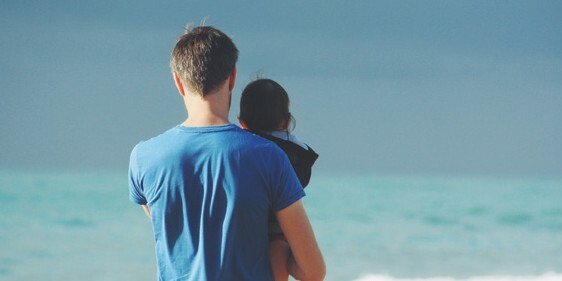 Parenting plans are unique to your situation but could include agreements about living arrangements, keeping in touch with wider family and friends, school, holidays and other special days, health issues, money matters and communication. Try to keep conversations about money matters separate from conversations about the time your children spend with each of you. It can be helpful to keep some things the same for your children, particularly when they are trying to cope with the changes that separation can bring. Don't assume that you both have the same understanding about an agreement or a parenting plan. Be clear about the details – you might even want to write some things down. This can help to avoid misunderstandings and arguments. Whether parents live together or apart, the time that children spend with each parent varies between families. What happens after a separation depends on a lot of factors, such as what your relationship was like with your children prior to living apart, the age of your children and how far apart you live. Arrangements should take into account what is best for your children. There are lots of other ways to keep in touch with your children when they are not with you – letters, cards, phone calls, texts, emails, Facetime/Skype, or record yourself reading a story so that they can listen to it at bedtime. It is important that children don't feel like they are being asked to take sides or make the decisions. Children's needs change as they grow and develop, and other circumstances might change for you or your child's other parent. It is important to agree how you are going to review and make adjustments to your plan and arrangements. It can be helpful for your children to have the opportunity to share their views with you before you and their other parent make significant decisions that affect them. However it is important that children don't feel like they are being asked to take sides or make the decisions themselves. Parents make the final decision. It is important for children to feel that they have a home with each parent if they are spending time in both homes. This includes having their own space. In many families it won't be practical for them to have their own room, but it could mean that they have a space within a room to call their own. Parents can have different parenting styles and values whether they are living together or apart. For example, parents might think differently about how much time children are allowed to spend watching T.V. or bedtimes. Children can cope with differences as long as each parent is consistent. Sometimes children can find it unsettling when they move from spending time with one parent to spending time with the other parent. They might pick up on your feelings and be worried about you. Parents who live apart can help their children to manage these times. Think through how you can make this happen and agree on how you are both going to make this a positive experience for your children. They hear you criticise their Mum or Dad in front of them? You ask them to pass on an angry message to their Mum or Dad? You ask them intrusive questions about their Mum or Dad? They have to hide their feelings about their Mum or Dad? You don't turn up to see them or are very late? You and their other parent argue in front of them a lot of the time?